KINGSPORT – Virginia Frank, who has led Holston Valley Medical Center to continued national and regional success as president since 2010, will retire after the completion of a national search for her successor. Wellmont Health System will form a committee to conduct a thorough search for a replacement to oversee its largest hospital. Frank’s tenure at Holston Valley will be the capstone of a notable career in health care. She will end her tenure on the heels of a strong list of accolades for the hospital, including recent recognition among the top three hospitals in Tennessee by U.S. News & World Report and consistent national recognition as one of the best cardiovascular hospitals in the nation. “It has been a pleasure to incorporate experiences and knowledge gained over decades in health care at Holston Valley and to work with such dedicated staff members, who prove every day why we are Kingsport’s flagship hospital,” Frank said. Frank said she has enjoyed working with everyone associated with the hospital and Wellmont to build on Holston Valley’s outstanding reputation and leadership in the region. She said Holston Valley is well-positioned for success with a sensational group of physicians, nurses and other caregivers, as well as all the hard-working nonclinical staff who serve with distinction around the clock. Those who have served with Frank note her healthcare leadership experience and strong sense of compassionate patient care. DeNarvaez said Frank has repeatedly shown strengths that have elevated the quality of care wherever the two have worked together. Before coming to Wellmont in 2010, Frank served as administrator of the Heart and Vascular Hospital, a 96-bed facility that is part of St. John’s Mercy Medical Center in St. Louis. She was also vice president of operations for St. John’s Mercy. 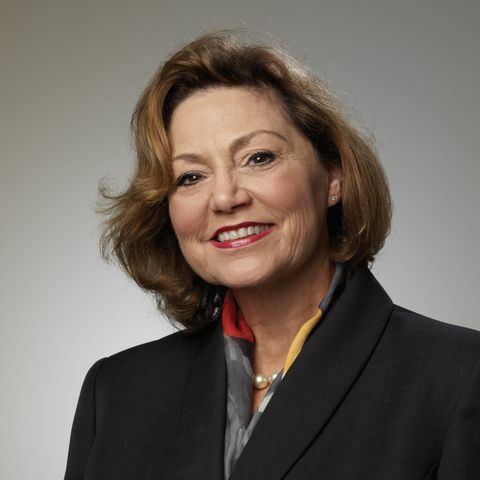 Earlier in her prolific career, Frank was vice president of operations for Abbott Northwestern Hospital in Minneapolis and chief information officer for Florida Medical Center Hospital in Fort Lauderdale, Fla.
“We are grateful for Virginia’s leadership of our hospital for the past three years,” said Charlie Floyd, Holston Valley’s board chairman. “We are also happy she will continue to serve throughout the search for her replacement and assist with a seamless transition. Download photo of Virginia Frank.